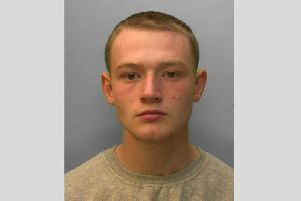 Police are appealing for witnesses to a burglary in Worthing. A Silver Mercedes CLK car and an Apple Macbook Air laptop were stolen in the burglary, which happened in Lansdowne Road, between 10.45am on Friday April 28 and 8.45pm on Sunday April 30, said police. Those responsible took the keys to the victim’s car, which was taken from a residential parking space close to the address, added police. The investigation into this theft is on-going and officers are keen to speak to anyone who was in the area that particular weekend and may have seen something suspicious. Anyone with information should report online here or call police on 101 quoting serial 1350 of 30/04. Alternatively they can contact the independent charity Crimestoppers anonymously here or call 0800 555 111.